You wouldn't think that crying was a fun pastime. But in the last few weeks, we've not stopped doing it. 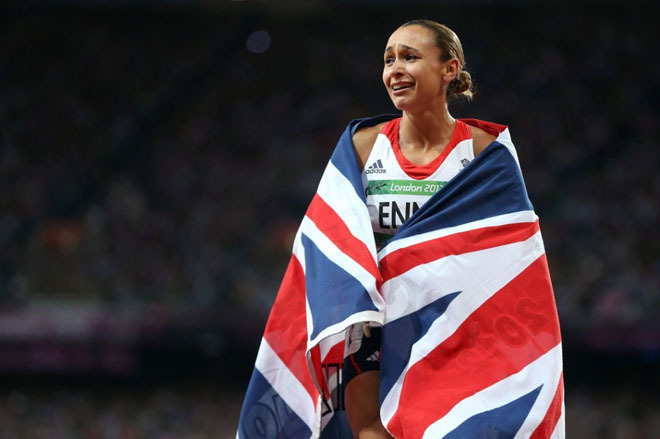 We wailed in work, sobbed on our sofa, and we've had moments of crying on the tube just remembering Jess Ennis' face when she won the heptathlon. 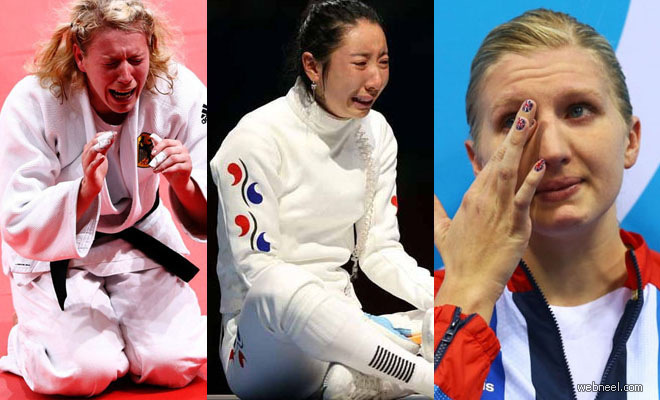 So as it comes to a close, here's our tribute to all things weepy during London 2012. Suffice to say that in a minute, we'll be crying again. Oh god, we're going. Things got bleak with this one. 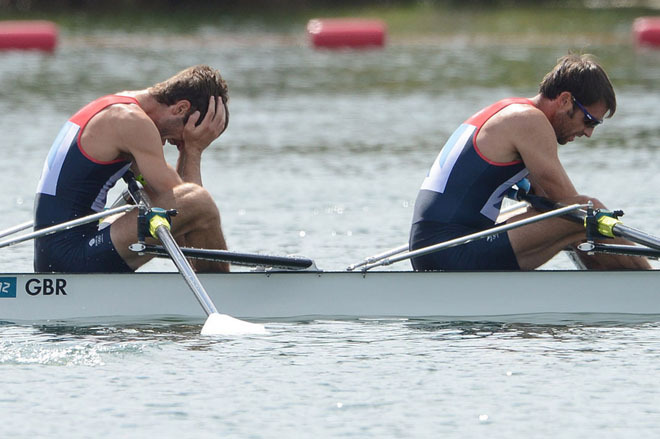 When Mark Hunter and Zac Purchase lost out on the gold in the men's lightweight double sculls final of the rowing event, they cried, we cried. 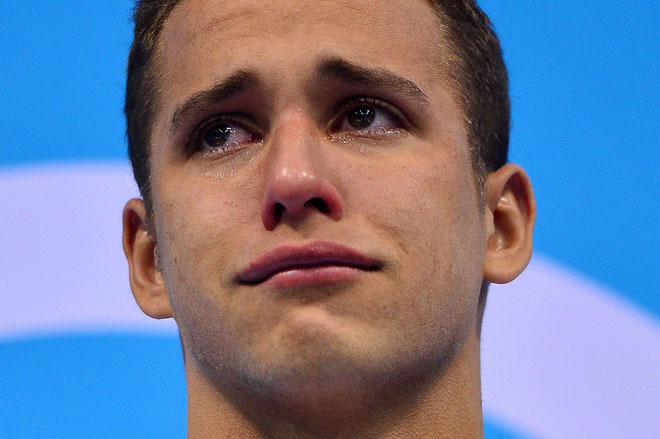 Even John Inverdale cried. We didn't know much about John Inverdale before, but he doesn't seem the type to cry, so this was especially sad. Jessica Ennis celebrated winning gold in the Women's Heptathlon. We celebrated having a large amount of snot pouring down our face as we sobbed and sobbed. She's the face of the games! She didn't even NEED to win the last event! It all got a bit much. 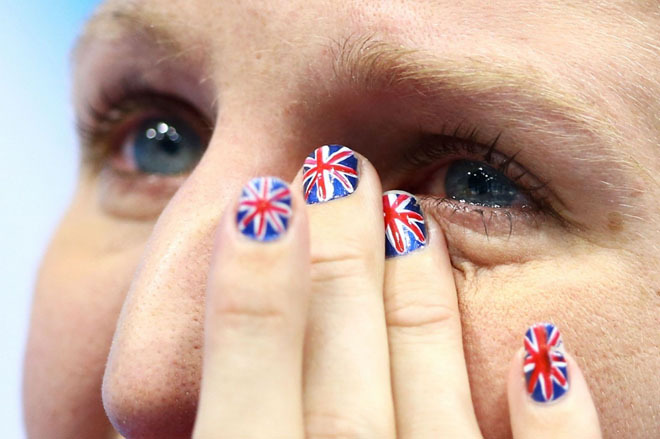 The day after Jess Ennis' win, we found ourselves weeping on the tube. Just AT THE MEMORY of it. We knew at this point things had gone too far. but those were the happy times. 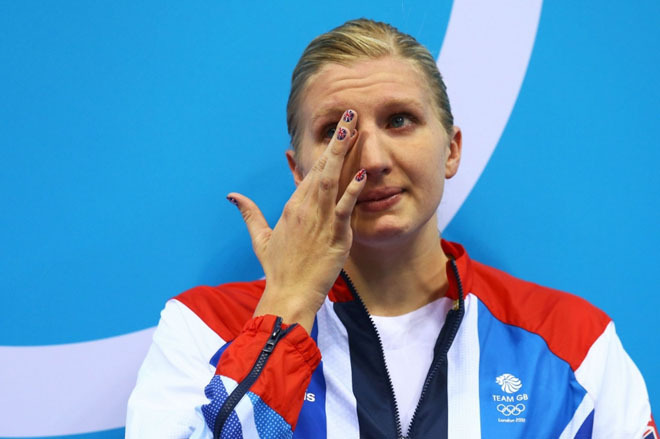 The sad tears came for Rebecca Adlington, who cried herself after losing her title and winning Bronze in the Women's 800m Freestyle. "You're still amazing!" we shouted at the telly. But then we had to stop shouting because the sobs got too much. More pictures of Becky's tears? Are you trying to torture us, picture eds? We felt so emotional for an overcome Becky that our Kleenex supply depleted even further, and our neighbours knocked on the wall to check we were ok. Nothing about Kazakhstan has ever made us really cry before, but the Olympics changes things. 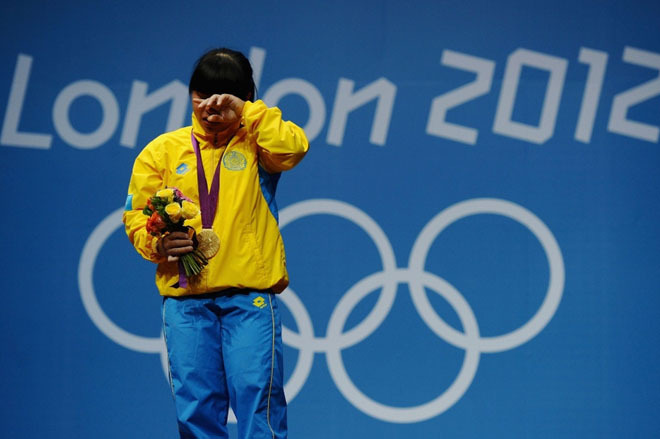 And suddenly we're watching Chinshanlo of Kazakhstan overjoyed with emotion as she celebrates with the gold medal on the podium after the Women's 53kg Weightlifting, and we are WEEPING. 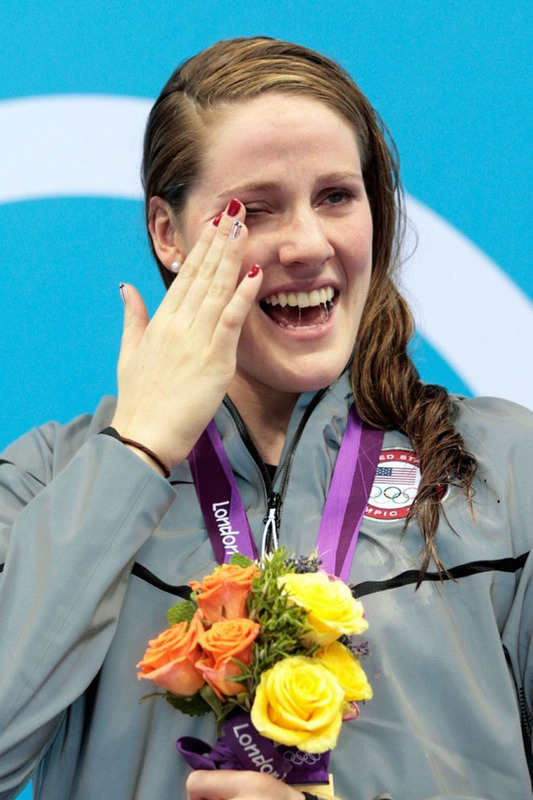 Missy Franklin of the United States (AKA one of our favourite names of the Games) wipes a tear from her face. We wipe a, er, crumb from our face. ALRIGHT IT WAS A TEAR. 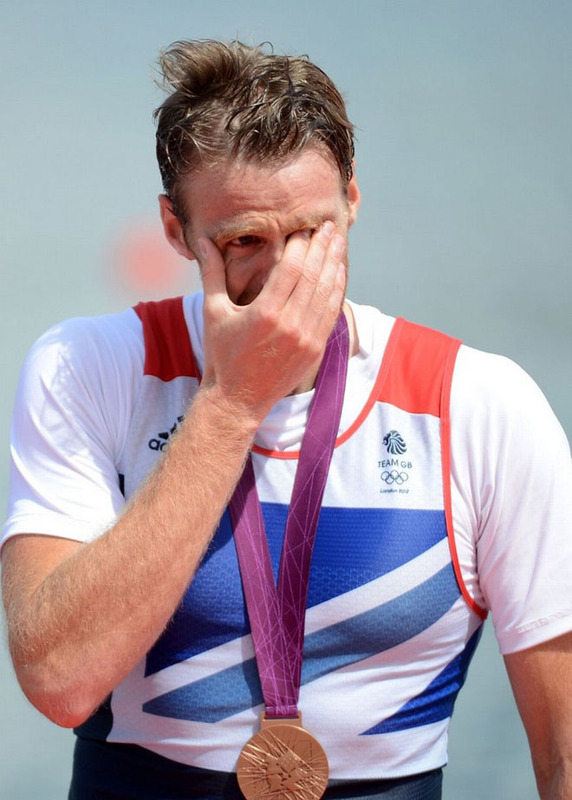 Alan Campbell (wins prize for 'most normallY named athlete') cries after receiving his bronze medal during the medal ceremony for the Men's Single Sculls. Why don't you guess what we did? Oh yes that's right, we cried. A close up of his face can never do any harm. 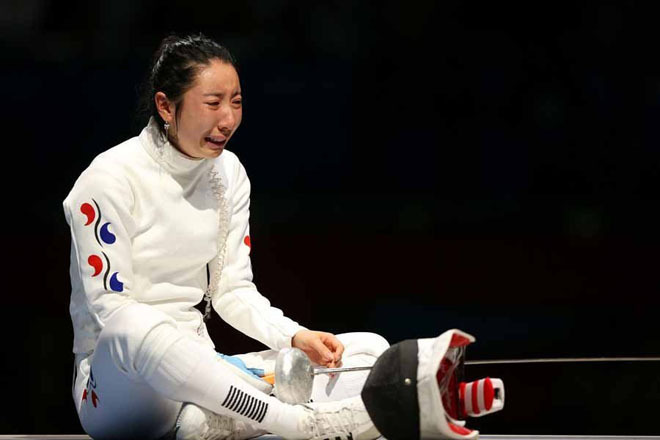 South Korea's Shin A Lam cries in the fencing. We barely know what the hell fencing is and yet, oh yes, there's our big wet face again. The good thing about crying in the pool (Lithuania's Ruta Meilutyte): no-one's totally sure it's not the pool water. There's no such disguise when you cry in front of your colleagues at your desk watching her and you're supposed to be doing your work. We learnt that the hard way. And it's Kazakhstan's turn again. 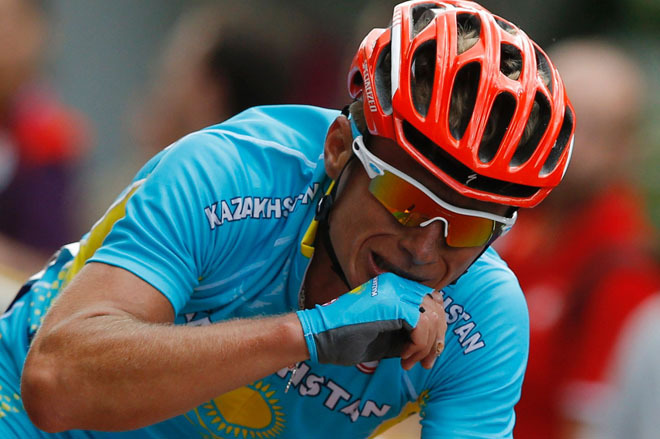 This time a man named Alexandr Vinokurov, who won the cycling road race. There's always a lot of crying during the gymnastics. 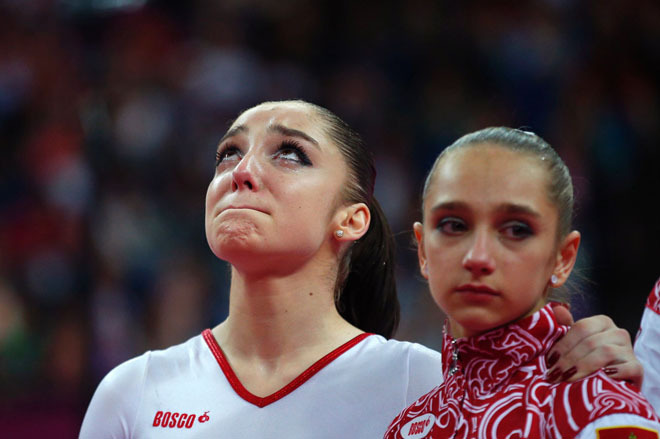 And sometimes it's not even about the fact someone made them wear scrunchies, like in this picture of Russia's Victoria Komova and team mate Aliya Mustafina. Crying at the AIR RIFLE COMPETITION. 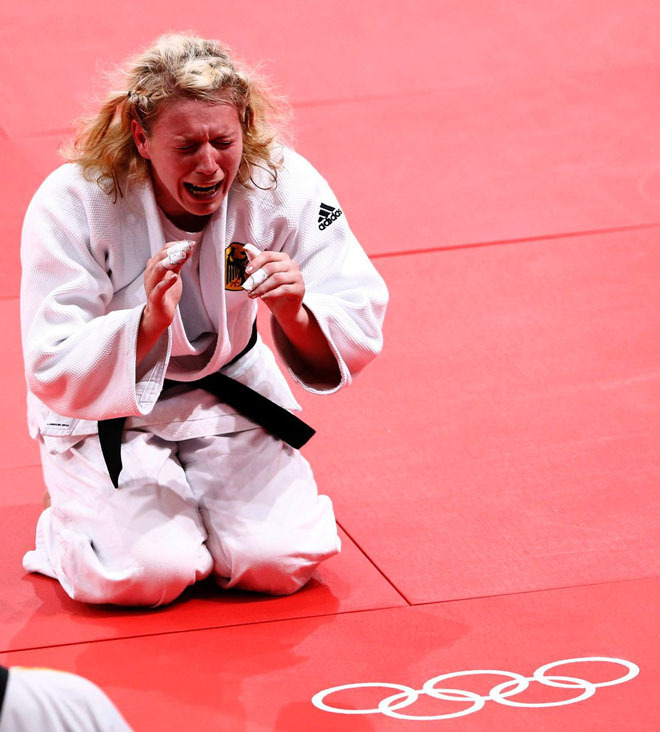 There's basically no sport that fails to stir emotion. Who knew? Judo outfits are particularly handy for weepies as they provide a very wipe-friendly sleeve. Just ask Germany's Kerstin Thiele. Meanwhile on our sofa, our dressing gown was serving much the same purpose.